Police Scotland are looking for input and views as they modernise and shape the way the public contact them through their service centres. More than 4.2 million emergency and non-emergency calls, emails and SMS texts are handled by staff each year. Telephone is the most popular method for members of the public to contact the police and access the service. 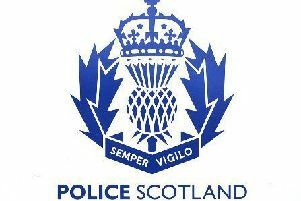 Police Scotland is working in partnership with the Scottish Disability and Equality Forum to host a number of events around the country to gather the opinions of communities to ensure everyone in Scotland has fair and equal access to contacting Police Scotland through their Service Centres. A workshop is being held in Aberdeen at the Altens Community Centre today (Thursday) from 11am-4pm. Chief Inspector Arlene Smith said: “Our service centres are world class facilities and we receive very positive feedback from our communities about their contact with us. “People are already able to get in touch everyday for all manner of police advice or assistance. ‘‘It is important that people understand we’re looking for their help to enhance existing services and we don’t intend to compromise any of the local arrangements already in place. “We’re determined that on each and every occasion a member of the public contacts the service centre, they can do so with ease and in a convenient way. ‘‘We look forward to working with our local communities to understand how we can best achieve this. Police Scotland, with the Scottish Disability and Equality Forum, invite the public to have ‘Your Say, Your Way’ at one of the workshops where people will be encouraged to give an opinion on current service provision, and more importantly, how it might be improved in the future. Altens Community Centre is located in Strathburn Street, Altens.